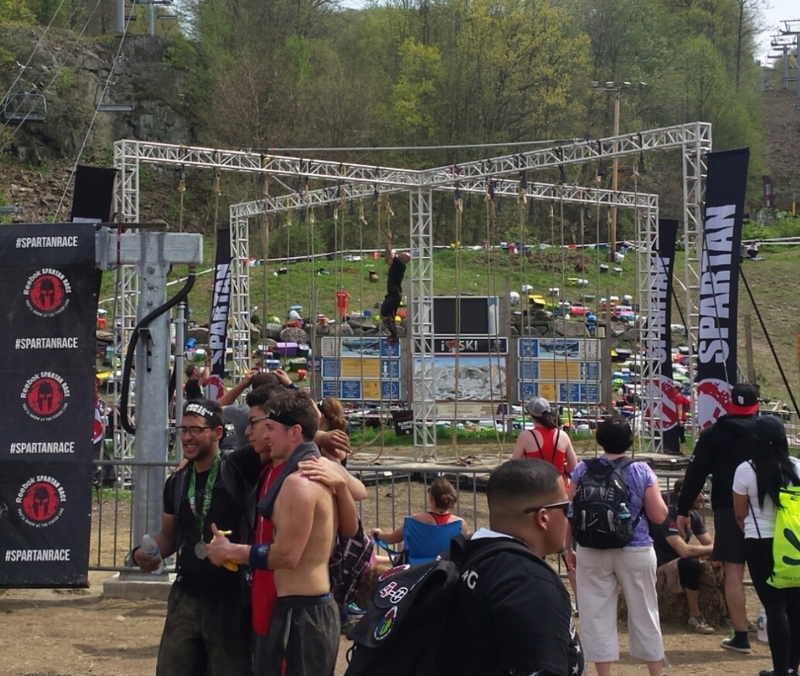 Spartan Race made its annual Beast stop at Mountain Creek Resort in Vernon, New Jersey. Heavy storms rolled into the area early Saturday morning causing every wave of athletes to be postponed 30 minutes. The extra time allowed Spartans to prepare for 13.8 miles of grueling climbs and 32 obstacles which would heavily tax the upper body. The rain from the early morning hours created a damp environment and perhaps slowed some of the early morning waves. This course takes you up and down the mountain, a handful of times and the terrain can be rocky in some parts. Several racers were pulled off the course with busted ankles and much more suffered a hard slip and fall at least once. The water crossing in the small lake atop the mountain was cold but refreshing. There was considerable mud throughout the course and some of it was deep enough to lose a shoe. There were several stream crossings on the mountain which broke the monotony that comes with the distance that a Beast or Ultra can bring to the table. Unfortunately, a topic that has become too common in the OCR world; trash was littering the course. It is really sad to see so many gummy wrappers and mustard packets within a hundred feet of a trash can. The obstacles seemed to be on the easier side on the first third of the course. The monkey bars, 6 and 7-foot walls, rope traverse and log carry were scattered throughout the first 4 miles. A fresh body made the obstacles very doable and most appeared to be off to a great start. The middle of the course stiffened quickly with the new obstacle Olympus. While I was doing my burpees for this failed obstacle, I determined a less than 50% success rate for those running near me. Having chains, hand grips and 3-inch holes to choose from almost made this obstacle more of a mind challenge. The spear throw and multi-rig were also found in the middle of the course and both seemed to burpee monsters. I was able to stick my spear throw initially, only to see it fall out after a second. The multi-rig and its tennis ball ropes allowed me to complete burpees 61-90! A very vanilla sandbag carry and one of the shorter barb wire crawls I have seen rounded out the middle of the beast. Most would agree that the heart of this course came in the final 4-5 miles. The z walls continued to be a challenge for those who have not mastered the technique and grip strength required to conquer the obstacle. Bender was a fun new addition that requires some climbing ability. The 8-foot walls took its share of victims and Spartan had several officials on location making sure those who couldn’t scale the wall headed towards the burpee pit. The final suffering came at base camp for all of the spectators to enjoy. 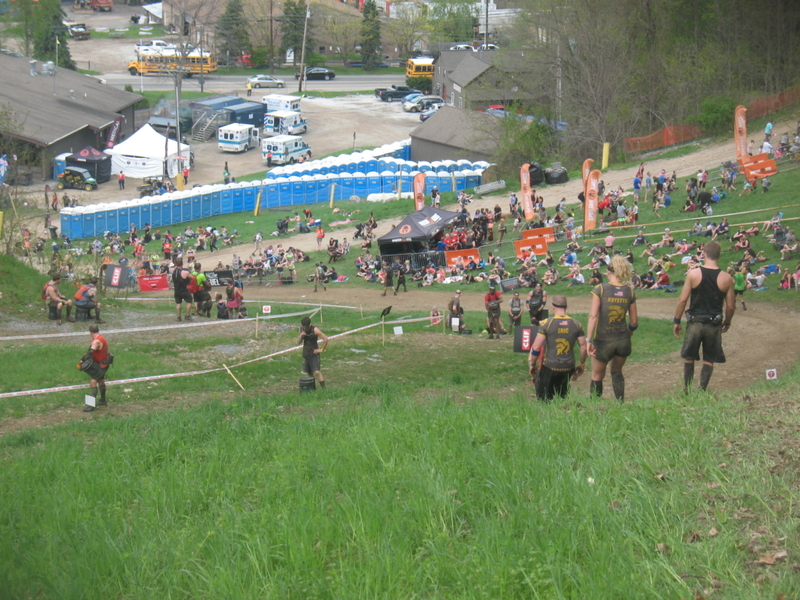 Bucket brigade took you on an insane climb up a long and steep ski slope. This obstacle easily could have taken racers 20 minutes complete. After the bucket brigade, Spartans were treated to the newest obstacle; Twister. For those who have not seen this obstacle, google it and maybe you will get a feel for how much fun it is after a ¼ mile bucket brigade. I admit I was only able to make it less than a third of the way. The rope climb and fire jump ended the Beast/Ultra Beast course. 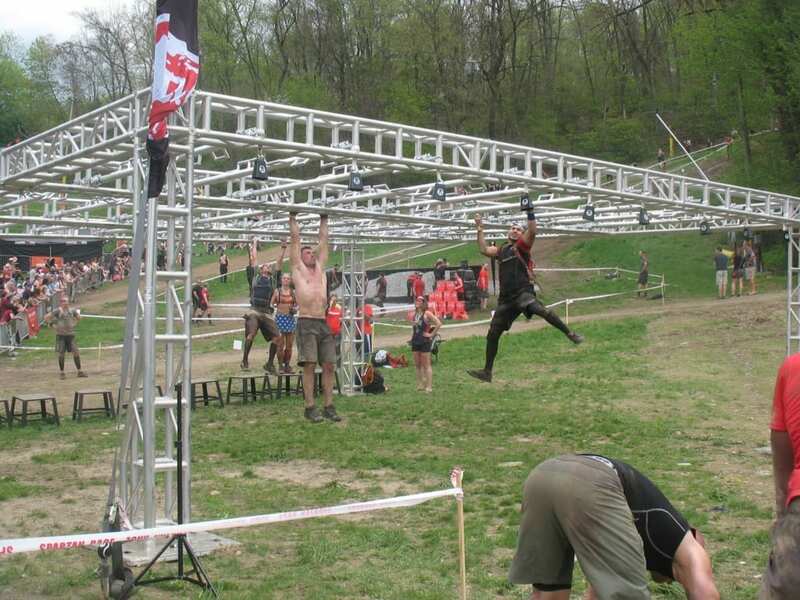 A Spartan Race Beast is no joke. I love Tough Mudder and the courses they create, but when you run a Spartan Race, you know where you stand once you finish. I have all of the respect for those who sign up for an Ultra! One day I hope to enter my name in the UB finisher list. I wish Spartans would do their burpees when they fail an obstacle. This was a great event and I hope Spartan continues to work with Mountain Creek Resort.